As you know, my hair is blue. WAIT? What? This is your first time reading my blog? Well… let me tell you… My hair is blue. See? That’s blue. 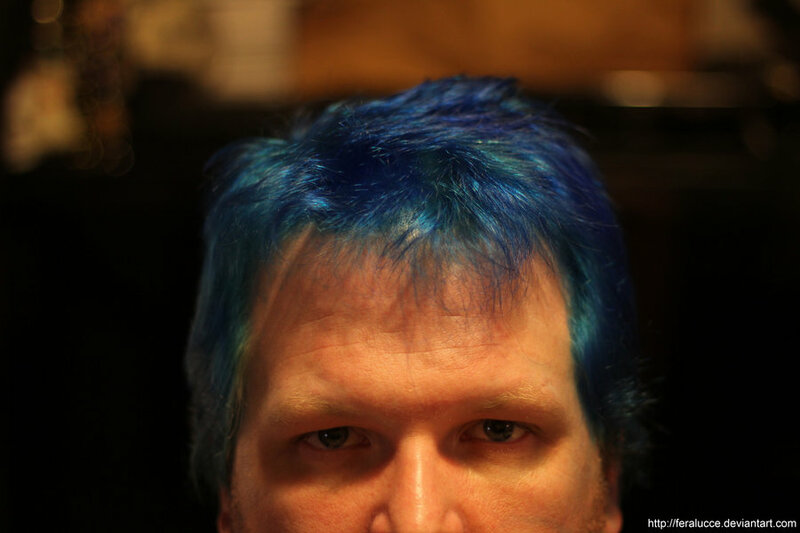 That is the definition of blue… In the dictionary, under blue – it says see my hair. On wikipedia, under Picasso’s “Blue Period” it says something about those couple of years that he just painted pictures of me. Okay… well it doesn’t say that… but it totally should. 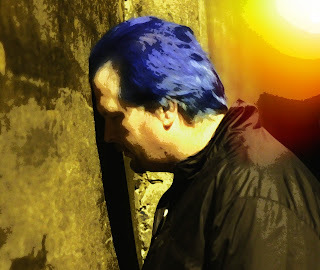 You should totally NOT go to wikipedia and add me to the blue period article. It takes a lot of work to be this gorgeous… I have to stay out of the sun, only bathing myself in the pale and gentle light of an LCD monitor, working out at least 30 hours a week (PS3 gaming is brutal)… and there is touch up. You probably don’t know, but any bright, “un-natural” color fades fast. So you have to maintain them. For me, that means weekly or biweekly touch ups. Put stuff in my hair, avoiding my skin, and letting it dry. I was doing touch ups today and Lilly climbed up onto the couch behind me. Normally, she sits up there and sleeps… but today, she decided she wanted to sniff my hair. Now… I like how my hair dye smells… Jerome Russel’s Atlantic Blue smells like fruity pebbles… At least to me… Lilly disagreed. Lilly, evidently, is allergic to it. She started sneezing. She sneezed for a good 10 minutes. That is not Lilly… I wish it were… She sneezed and sneezed and eventually smacked her head against the back of mine and ran away. She is very disapproving. She disapproves of it so much that she won’t stay in the room long enough to get a good photo of it. Being this beautiful is hard work dammit and these damn animals don’t appreciate it.